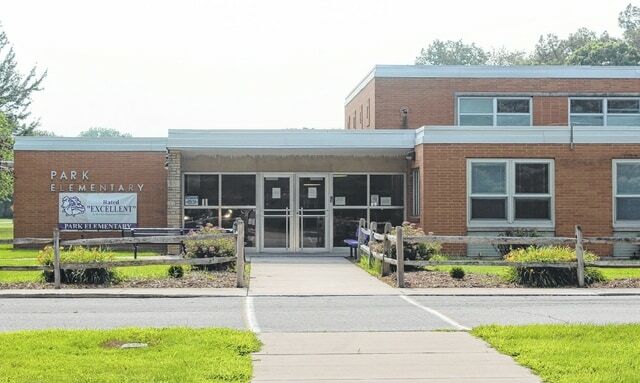 Park Elementary School, above, and Crestwood Elementary School will remain in use for a longer period after a bond issue for a new elementary school was delayed. Swanton Local Schools officials have decided to delay asking district residents to approve a bond issue for a new building. A resolution requesting the OSFC to establish the new scope, estimated basic project cost, and local share in the Classroom Facilities Assistance Program (CFAP – Lapsed District) keeps the district active in the case the school district would pursue the local share from voters next year, according to Superintendent Jeff Schlade. Officials came to the conclusion following research and a survey sent to selected district residents. In February, the board asked Schlade and treasurer Joyce Kinsman to determine whether the board should place a bond issue to building a new elementary building before voters. The district cannot move forward at the expense of the relationships officials are trying to build with local residents, Schlade said. The research included numerous hours working with Rockmill Financial consultants learning about ways to reduce the millage amount needed to ask voters to approve in the event the issue was placed on the ballot. Also pursued, under the direction and administration of Stan Odesky and Associates, was a survey of district citizens. The survey targeted those likely to vote in an off-presidential November election, and was aimed at determining the likelihood of such a bond issue passing, according to Schlade. “Though we learned much about financing options made possible through our district’s strong financial status that would help to lessen the burden on the taxpayer, and survey respondents provided us with information that will be invaluable as we move forward, they were less than optimistic about a successful ballot issue result in November,” Schlade said. Despite the decision, the superintendent has not changed his mind on the need of the project. “But rather the fact that we must be cautious about forcing the pace of achieving that goal when our community is not sharing the same sentiment,” said Schlade. The superintendent said that he believes that the school district’s strength is a prerequisite of Swanton’s strength and continued recovery.